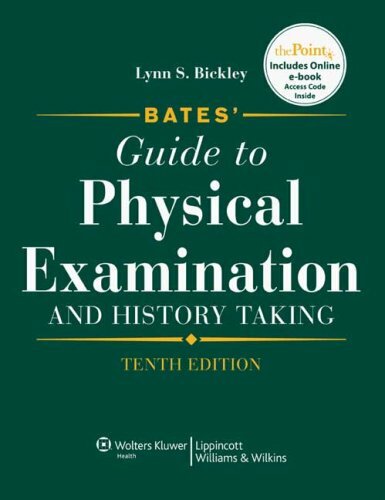 The Tenth Edition of the pre-eminent textbook on physical examination and history taking contains foundational content to guide students' approaches to history taking, interviewing, and other core assessment concepts, as well as fully illustrated, step-by-step techniques that outline correct performance of physical examination. The comprehensive content is intended for high-level nursing education and practice markets, medical students, and related health professions such as physician assistants. Text includes free head-to-toe assessment and techniques of communication videos. other than changes in order of chapters and maybe some new details and updates, old edition is as good as new one. I am taking BSN courses and this text is required. The book includes a CD which I have not had the time to review. The text is very good. It has a great flow from system to system. There are many color photos to explain the various findings. The book is through and I especially love the red text in the borders that explains the criticial thinking of the assessment coupled with the finding.